(Photo courtesy of Spanish Fork Public Safety) Vandals damaged the interior of this LDS Church meetinghouse. 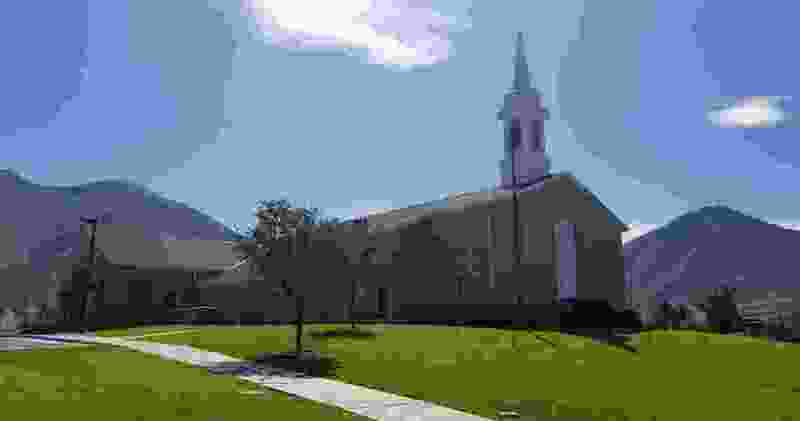 Spanish Fork police have made two arrests in the vandalizing of an LDS Church meetinghouse in August. Kevin Hayes, 23, and Thomas Anderson, 20, were booked into the Utah County Jail on suspicion of third-degree felony burglary and second-degree felony criminal mischief, according to Lt. Brandon Anderson of the Spanish Fork Police Department. On Aug. 27, police responded to an alarm at the building at 989 S. Spanish Fork Parkway (2550 East). They discovered that someone had broken into the building, ripped up hymnbooks, broken furniture and discharged fire extinguishers throughout the church.